I built a solid-state alternative to the TPA’s Sidecar. Switching between I2S and S/PDIF with bus switches (solid state devices). Support for two I2S inputs, with source selection. 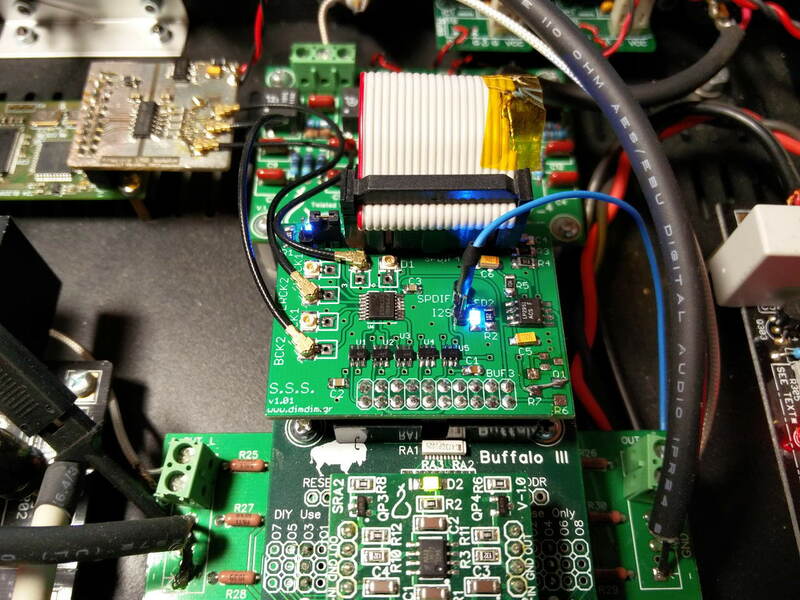 On-board LDO regulator with 4.9V output for the Buffalo III’s 4-input S/PDIF board. Drop-in replacement for the Sidecar.